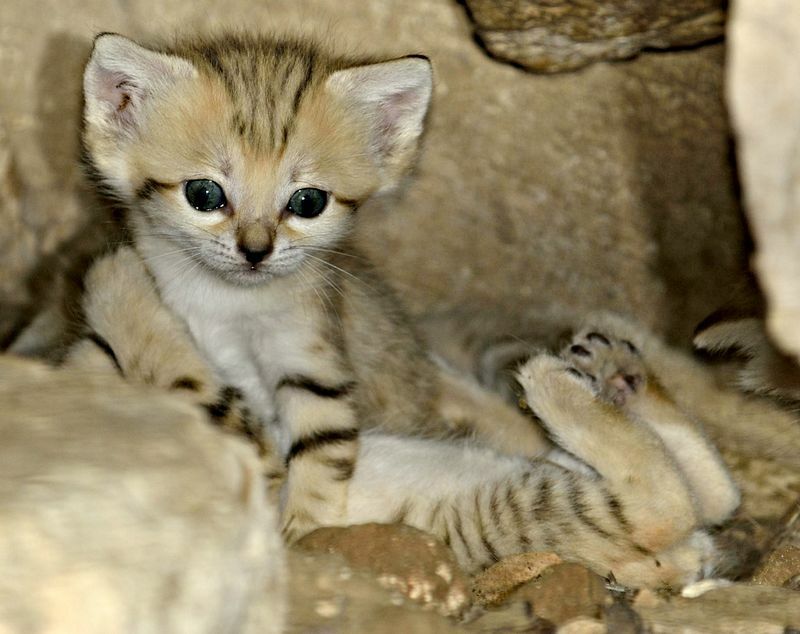 Meet the Sand Cat: a small wild feline native to desert areas in North Africa, Arabia, Central Asia, and Pakistan. 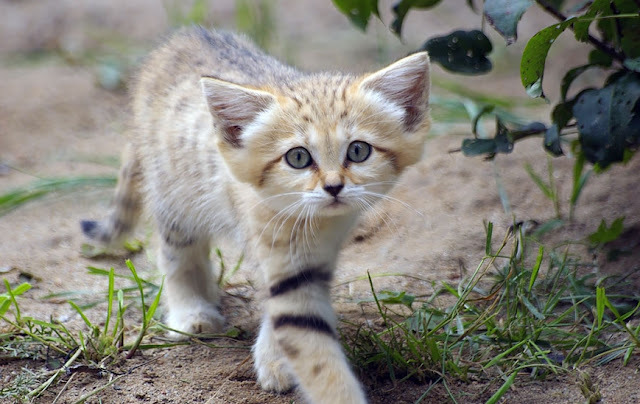 Sand cats are curious creatures, as they more closely resemble domestic house cats than they do other wild cats. 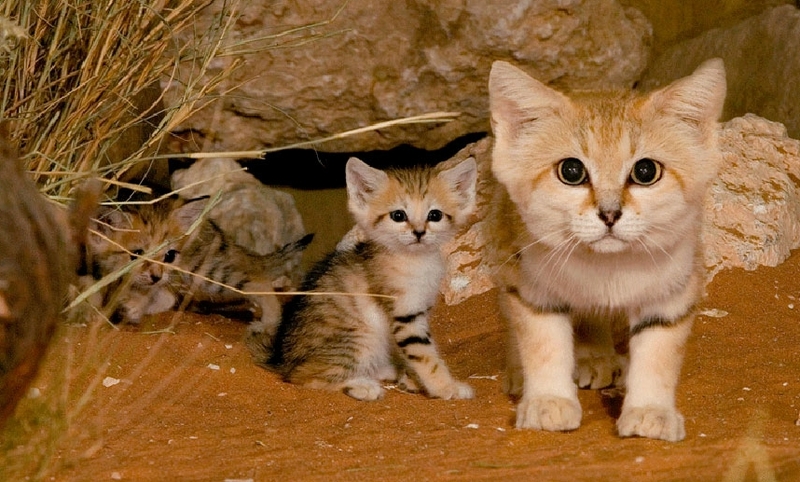 In fact, sand cats don't seem to age notably at all in comparison to their offspring, giving them the appearance of lifelong kittens. The sand cat is the only cat found primarily in true desert. 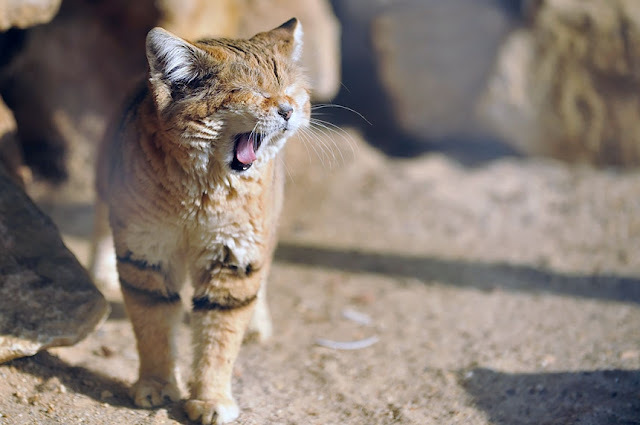 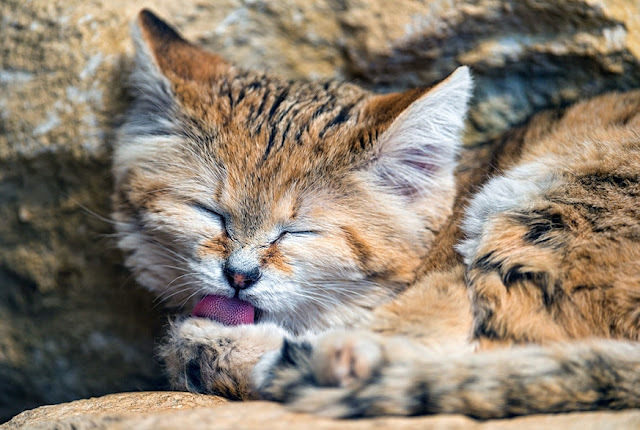 Native to deserts in northern Africa and southwest and central Asia, the sand cat has evolved to survive in such a harsh climate and, says the site ZooBorns, can thrive in far drier environments than any other feline. 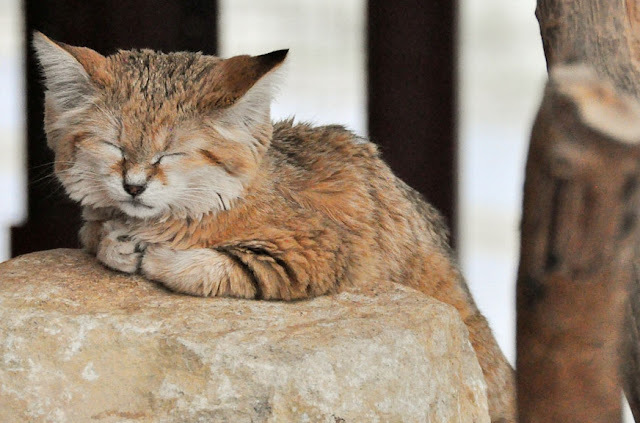 Since 2008, the sand cat has been listed as Near Threatened by the IUCN due to concerns about potential low population size and decline. 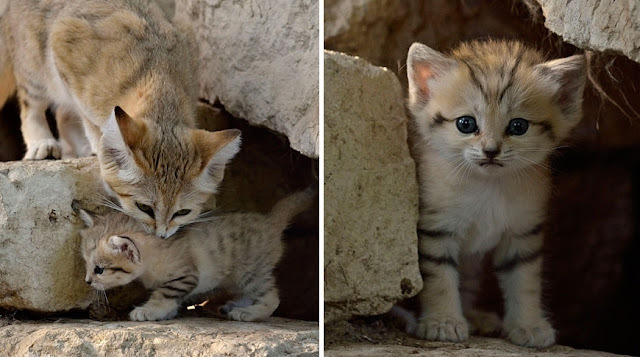 Responses to "Forever Young "Sand Cats" Resemble Cute Kittens Their Entire Lives "
People who want these for themselves do not seem to get the point about endangered species, think about them first, not your mothering instinct. 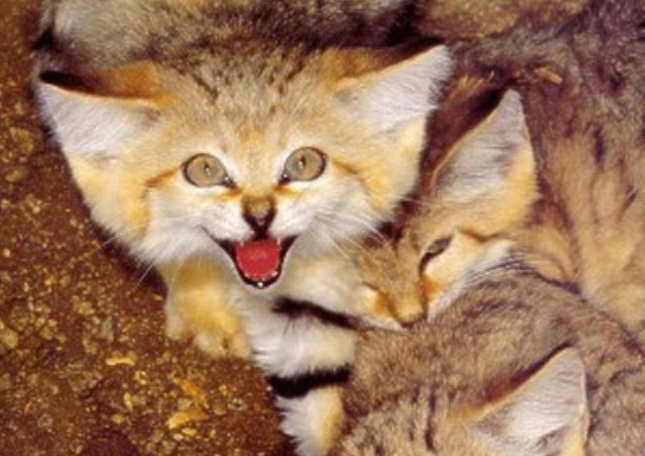 Please don't try to capture and tame these delightful animals ... they are meant to be wild. 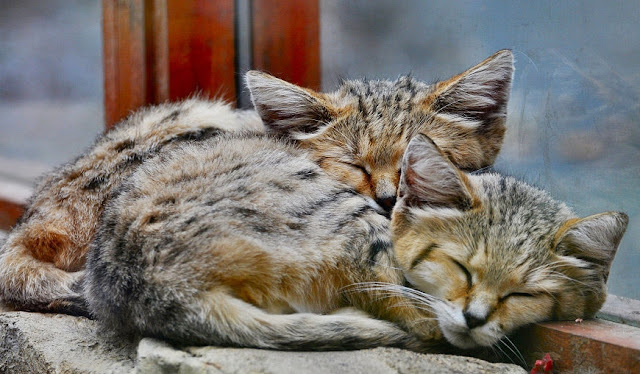 There are plenty of domestic varieties to please anyone and everyone! Leave these babies alone!!! Both of these are spoooo cute! 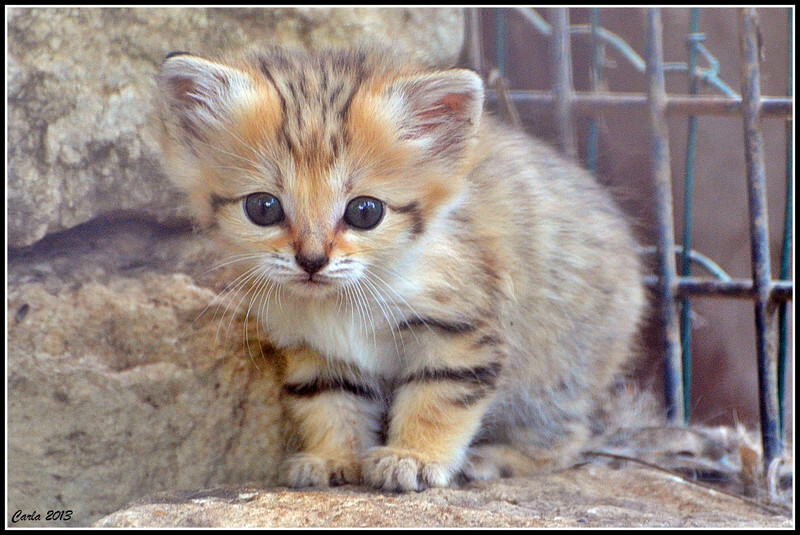 Adorable but not adoptable! 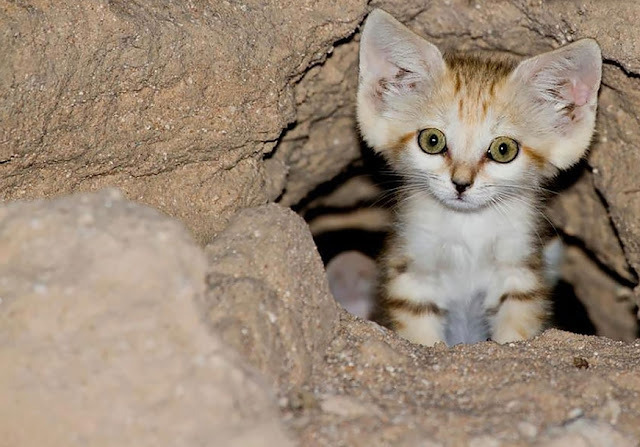 The desert is one of the few places that man has not spoiled!! @Ayesha Jen, if they were domesticated their population would grow. 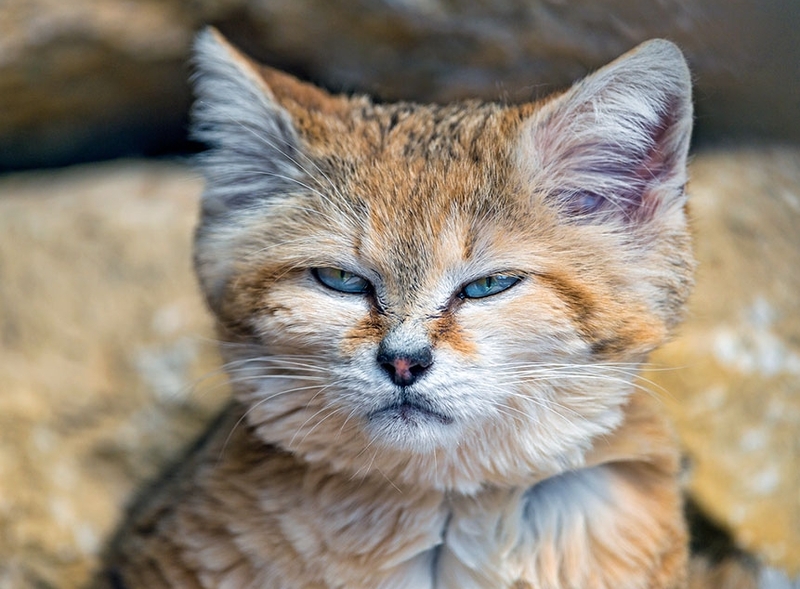 we have TOO many domestic cats and dogs.